Citation Information: J Clin Invest. 2017;127(4):1136-1145. https://doi.org/10.1172/JCI88886. 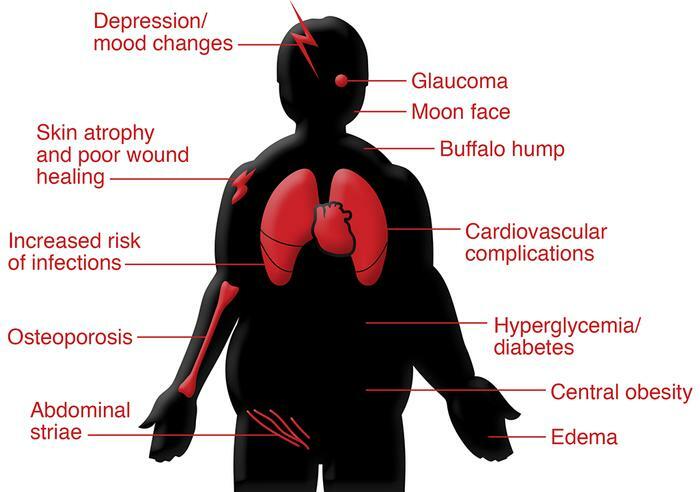 Graphic presentation of GC-associated side effects. GCs can lead to a number of burdening side effects, depicted here, typically when used at higher doses and for a longer period of time, as is done with chronic inflammatory diseases.